Welcome to my question page! These questios have multiple answers and I wnat to see what YOU think. If you like my questions, plese try my new Sailor Moon quiz. 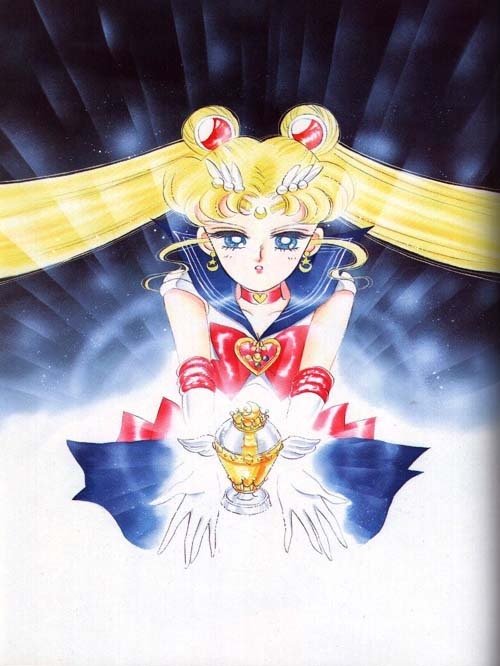 See the "cup" Sailor Moon is holding in the picture to the left? What is it called? Read the choices below, then sign my Guest Book with your answer. I will tally the answers up and show the results with next month's questinon.